Please contact with dates as pricing varies. £50 deposit/security bond to secure booking. 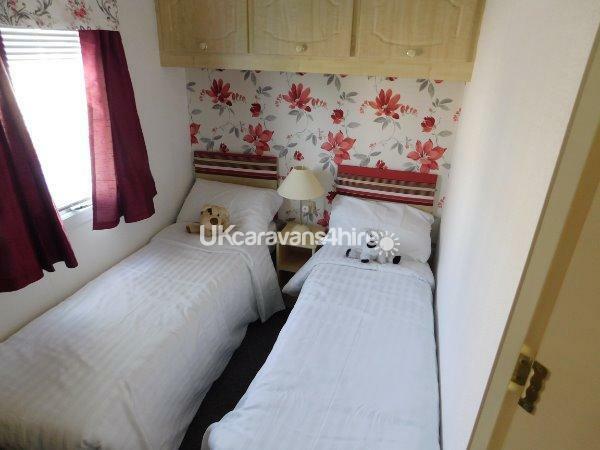 Deposit is non-refundable if booking is cancelled but would be refunded 7-10 working days after your stay as long as caravan left in clean & undamaged condition. 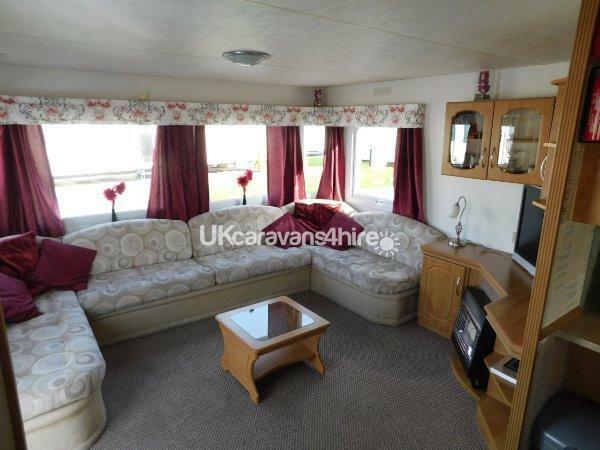 Family owned caravan with added facilities, it consists of a spacious lounge, including: pull-out double bed, gas fire, large TV and separate DVD player. The separate dining area consists of large table and chairs. 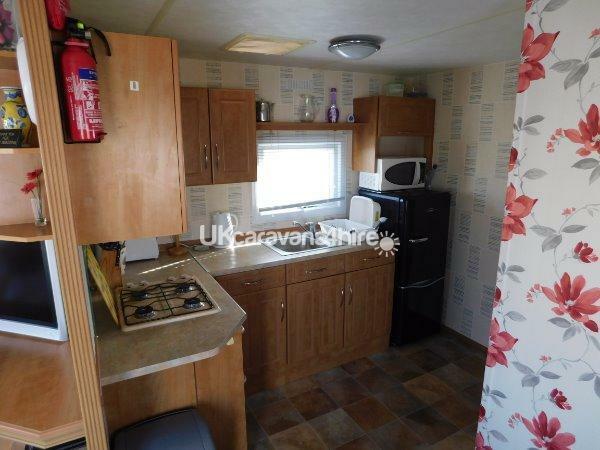 The kitchen includes full size fridge/freezer & cooker, microwave, toaster, slow cooker, iron & ironing board plus all relevant cookware, cutlery and crockery. There are also a Fire Extinguisher and Fire Blanket and a Fire/Carbon Monoxide alarm (which tells you whether its a fire or Carbon Monoxide problem) fitted to give peace of mind. The spacious master bedroom includes a double bed, fitted wardrobes and vanity unit (with mirror) and stool. Plus TV (including DVD player). 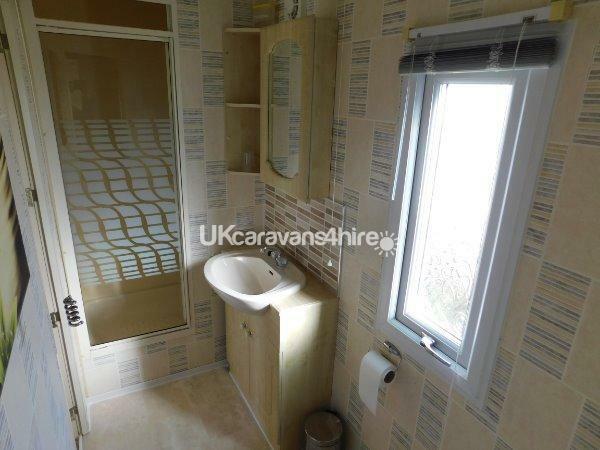 Bathroom contains shower, sink & toilet with access from Hall and master bedroom. 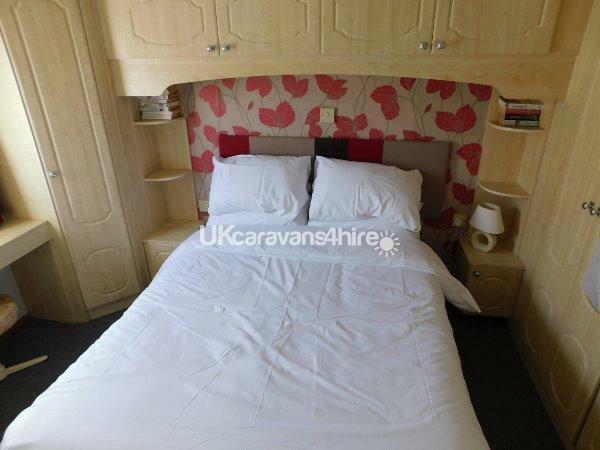 The second bedroom consists of two single beds plus TV (including DVD player) and fitted cupboard. 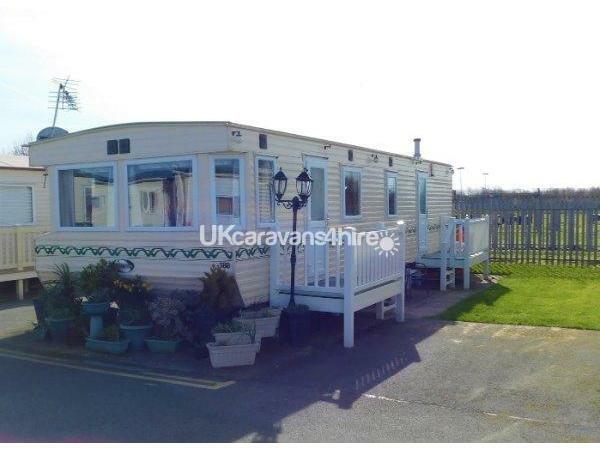 Further information regarding the caravan or site can be obtained upon request. PLEASE NOTE: Duvets and pillows are provide but you will need to provide your own duvet covers, sheets and pillowcases, towels, tea-towels etc. For added security, a key fob for barrier can be purchased at reception, price is refunded on departure once keys are returned. 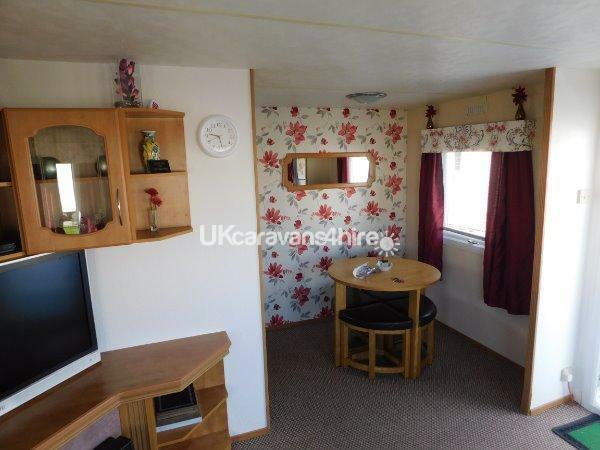 IF YOU CANNOT FIND THE WEEK YOU WANT HERE WE DO HAVE ANOTHER CARAVAN ON THIS SITE (see 2313) IT IS A GOLD CARAVAN WITH MANY EXTRAS AS WELL AS BEING A LOVELY COMFORTABLE CARAVAN. Additional Info: Re-furbished Country Club including children’s area plus free indoor soft play area. The Club sometimes puts on “Theme nights” so please make sure you collect a leaflet of entertainment from reception upon arrival. There is also the excellent Magpie & Stump pub & restaurant on site. The restaurant offers a breakfast, lunch and/or evening meal menu etc. There are also a Chipshop, launderette, grocery shop & arcade. we took the grandchildren on their first holiday, they couldn't believe how spacious the caravan was, beds were really comfortable, clean and comfortable living area and for a caravan spacious kitchen area, the site was very clean, the site office staff were really helpful with all requests for directions, bus services etc.All in all a very enjoyable holiday, thank you from us all.